His Imperial Magnificence, Our Lord the Radiant Sun, Ayreon IV Kalirion, by the Kharenah of Zurvan, Qaisar-e Sathratiye, Suzerain of Benacia, and Leng and Raikoth, of the Southern Isles, and of the Isles of the Great Western Sea, gives greetings to his good and true friends the Brothers of the Blood Hand, the Honoured Banners, the Kust Vakh, the Readers of Truth, the Tovarishchestvo Molota, the Black Brothers, Il Mietitori, and the Karalakh Host, assembled under his protection and the banner of truce raised at Ketekgorod. 1) That the Chiefs of the Confederation of the United Clans comprising the Republic of Inner Benacia, who formed their compact by the shadow of the Dolmen set before the ancient city of Stonetree, are confirmed in their sovereignty and their liberties. 2) That the Clans may chose from amongst their number a Saduc and a Sasos to stand before the Dolmen. That both shall be chosen and confirmed each year, after the spring equinox. 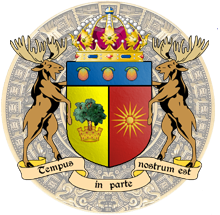 3) That, by the gracious permission of the Chiefs of the Confederation, the Inner Benacian Force (IBFOR) shall maintain garrisons within the Inner Benacian Republic and shall supervise the cleansing and reconstruction of Stonetree in the wake of the Great Mortality. 4) That for a period of twenty-four (24) Norton years the defence and security of Inner Benacia shall be provided for by the Inner Benacian Force and that the Defence League of Benacia shall remain demobilised for the entirety of that period excepting when called upon to serve under the command of officers of the Inner Benacian Force. 5) That the Chiefs of the Confederation consent to abide by the terms of the articles of the Raspur Pact (appended). 6) That the Chiefs of the Confederation consent to the Raspur Pact levying four regiments of Inner Benacians for overseas service. 7) Ketekgorod and its environs shall enjoy full autonomy with regards to matters of the levying of tariffs, security, law enforcement, civil administration, and the application of the laws of Inner Benacia within its jurisdiction. The Chief Ketek Resident Officer in Ketekgorod shall enjoy the rights and privileges of full membership of the pact sworn before the Dolmen. 8) The Eastern Debatable Lands shall be administered as a Condominium of the Imperial Republic and the Republic of Inner Benacia under the terms of a separate treaty. 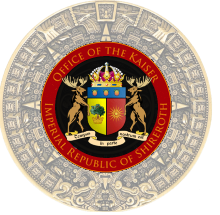 IN WITNESS WHEREOF We have caused the Imperial Seal to be affixed to this Proclamation which We have signed with Our Hand. Given at the Keep this sixth day of the seventh month in the year after the death of Norton one thousand six hundred and sixty-six. I have the honour and the privilege to inform you that your application to accede to the Raspur Pact has been unanimously approved by the Permanent Commission of the Raspur Pact. As minutes of the Dolmen reflect your ratification of the Raspur Pact, the Republic of Inner Benacia is henceforth a member state of the Raspur Pact. I look forward to many years of fruitful collaboration and cooperation.